The benefits of growing tomatoes in a greenhouse are many and give the tomato grower a huge advantage compared to growing outside. For those of us who grow tomatoes in a greenhouse and outside in the garden, there is no competition – the greenhouse wins every time! 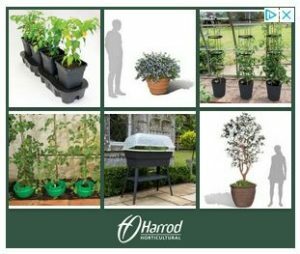 The patio is fine for growing bush varieties in large pots and hanging baskets or tall varieties up against a wall in grow bags, but to guarantee a successful crop each season, a greenhouse is the best place to grow tomatoes. If you live in a short season area such as the UK, a greenhouse has the benefit of being able to start sowing earlier in the season. This will enable you to still be picking tomatoes when plants that were grown outside have long finished. 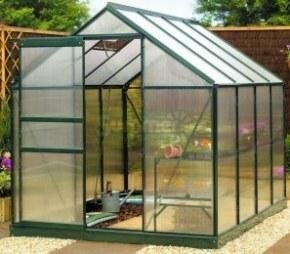 Check out the details and price of this greenhouse here. In a greenhouse, tomato plants are out of the rain, also temperatures won’t drop so low at night. The combination of wet leaves and cold temperatures for more than a day or two, will have a serious effect on a tomato plant’s health. This is owing to blight and the many other fungal diseases waiting to strike plants that are both wet and cold. When a tomato plant growing outside has wet leaves, it is unable to absorb water through its roots, therefore, the nutrients that the water carries, is not taken up by the plant. It then goes hungry and is more vulnerable to diseases. In contrast, a plant grown in a greenhouse with dry leaves, will be able to absorb nutrients whenever it wishes and will grow at a more consistent rate. Temperatures fluctuate less widely inside than those outside in the garden, so this will also aid steady growth and encourage pollination and flower set. Getting flowers to set fruit can be a real problem if it gets too cold at night. A greenhouse also has the benefit of being able to shade tomatoes from direct sunlight. This may seem rather strange – shielding plants from the sun! However, some tomato varieties, especially those that originate from cooler climates, such as many of the black varieties, prefer diffused sunlight on a hot summer’s day. So setting up a sheet of garden fleece, or using some other means of shading between the hot sun and seedlings, is easy. The ability to control temperatures in a greenhouse enables optimum plant growth. We all know that tomato plants like warm conditions, but warm conditions enable plants to feed regularly. When temperatures are too low, nutrients are unable to be absorbed, so cold plants are also hungry plants – just like wet plants are hungry plants! Of course, good ventilation is necessary to avoid high humidity and condensation. Tomato plants need good air circulation and if doors are closed on a greenhouse full of tomato plants, they will soon use up the carbon dioxide in the air and their growth will slow down. To sum up, the benefits of growing tomatoes in a greenhouse allow us to focus on actually growing the fruit, rather than just hoping that we will get a crop, and that our plants will make it through to the end of the season. If I had enough room in the greenhouse for all my tomato plants, would I only grow them under cover? No! I still enjoy the challenge of growing outside and pitting my tomato growing skills (modest though they are) against the elements! For more details about an Amazon Greenhouse Click Here. I really want to start growing tomatoes this year and other things. Is it to late to start being the end of March? 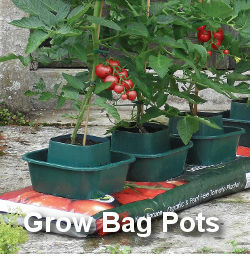 if not can you suggest a variety of tomatoes that would grow well outside in a sunny part of the garden. Cherry tomatoes and some other types please. I have just built some raised vegetable beds, and filled them with Westland organic vegetable compost would this be ok to use. The end of March is a great time to sow tomato seeds and you’ll be picking them around the end of July or beginning of August. Go for an early variety like Red Alert (cherry/bush) or a tall variety like Sungold or Gardeners’ Delight. The raised beds sound great and the compost is fine. PS If you are in the USA, try Celebrity and Early Girl. Hi Nick, just planted first seedlings into 3″ pots, ten different varieties this year, I must be raving mad. Regards Bob. Me too … I can’t stop sowing seeds at this time of the season. I’ve got about 230 seedlings and only room for about 70 plants – and I hate giving them away because I get so attached to them! Growing under cover will help prevent all sorts of problems caused by wet and cold conditions. I’ve just put up a polytunnel in my garden because the greenhouse has become far too small. It seems there never is enough room and always more varieties to try! Last year I grew lots of tomato plants outdoors on the allotment as well as a couple in our greenhouse. I had no intention at first of doing this but I had one plant left over from outdoor planting & so decided to grow it in the GH. It was very slow to get away but once it got going it did very well & the fruit was far superior to that grown outside! The fruit was bigger, much smoother skinned & went on long after the outside ones had finished! I also had a selfsown tomato that I let grow. It appeared in the soil close to the door of the GH. My tomato was growing in a growbag. This plant grew very well & gave plenty of fruit. I’ve no idea what variety it could have been as it looked nothing like any other variety I’d grown on the allotment the previous year nor like the only variety I was growing at the time. I sometimes keep a few seedlings that have selfsown in November for the following season. It’s a bit difficult getting them through the winter, but it’s good to have a few plants to tend (indoors) during the off season! 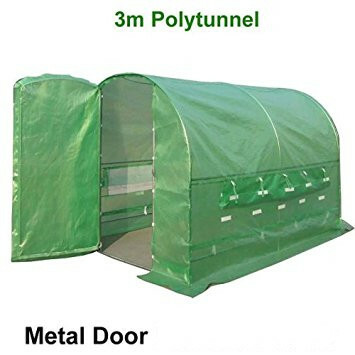 Got myself a tunnel greenhouse ready for this year,so will let you know how I get on. Good luck with the tunnel greenhouse – I’m sure it will give good results!